Warm temperatures have finally arrived and we will soon be planning outdoor activities for the weekends and vacations. Flying is one option for getting around the country, but thanks to coming-of-age movies, more people are opting for road trips. 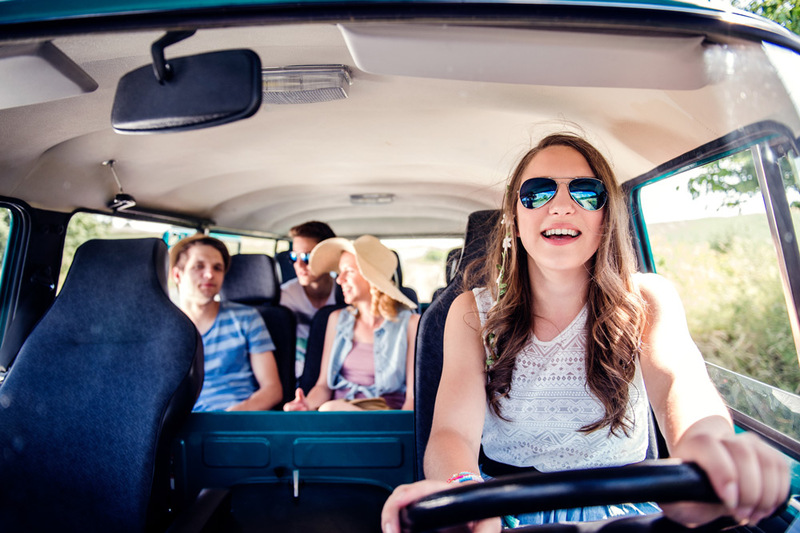 Road trips are a great way to spend quality time with your friends and make sweet summer memories, but making sure you’re safe is extremely important. Numerous triathlons get sanctioned every summer and cyclists become a common sight on the roads. Casual cyclists who are not as well versed in road safety regulations also get on the road for daily exercise. Vehicles are bound to share the road with cyclists in the summer and in order to keep safe, it’s a good practice to monitor the road ahead and constantly check the shoulders for approaching cyclists, so that you can plan your course accordingly. Bicycles are smaller than your vehicle, so it is important to give them the right of way, especially at exits and stop lights. Maintaining a safe distance from cyclists is essential for everybody’s safety on the road. Winter tires cannot serve your car throughout the warmer seasons. The threaded rubber on winter tires is flexible and offers traction on slippery roads, however, is at a high risk of wearing off in warm temperatures. Asphalt surfaces on hot days significantly increase the chances of wear and tear on winter tires. Swapping out winter tires for summer or all season tires that can endure the heat of the summer seasons should be on the top of your to-do list before you hit the road. Your car’s owner manual will consist of information regarding the maximum weight and passengers it can carry safely. Make sure to not exceed your car’s payload capacity or obstruct any mirror views with luggage. The sun can pose severe dangers for anyone travelling in the summer, especially heat stroke. Being mindful of heat stroke symptoms will help you stay alert and pull over to recover. Symptoms commonly include; vomiting and nausea, flushed skin, rapid breathing, headache, racing heart rate, excessive heating, altered mental state, hot skin, and body temperature over 40 degrees Celsius. Pull over to the side of the road as soon as you experience any of these symptoms. Hydrate yourself, stay in the shade, and turn up the AC. If possible, find a rest area. If there is a river or creek visible to you, feel free to rest and splash some water on yourself there. If symptoms don’t change, switch drivers and check in to the nearest medical facility. If you are alone, do not risk your health, call 9-1-1 immediately. It is essential that you keep a pair of sunglasses and plenty of water in your car. If you suffer from summer allergies, consult your doctor and get prescribed medication that won’t make you drowsy. Ensure proper insulation of your car by clearing and changing all the air filters regularly. A sturdy and comfortable vehicle is vital to successful road trips. Call Access Rent a Car for high-quality vehicles at affordable prices, along with personalized friendly customer service. Visit accessrac.com to view all our cars and services.